The ability to develop technical knowledge, skills and background in the design and organisation of computer systems with an emphasis on data analytics. The ability to critically evaluate design paradigms, languages, algorithms, and techniques used to develop complex software systems. 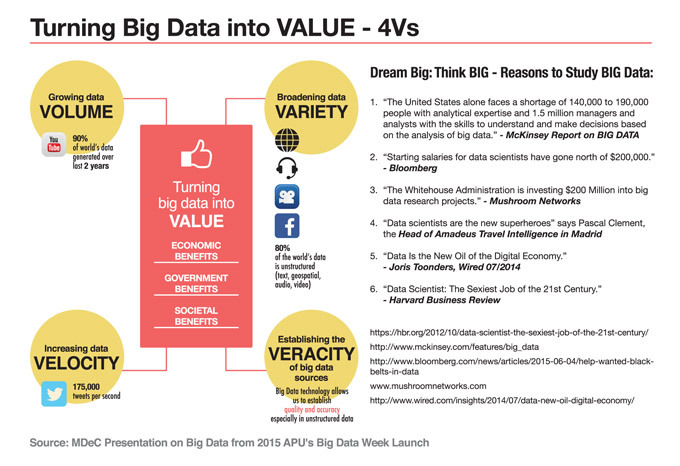 The ability to evaluate and respond to opportunities for developing and exploiting new technologies with data analytics concepts and tools. The first year is packed with modules that provide the fundamental skills required by every IT professional. Systems analysis & design and introduction to programing in an appropriate language provide a foundation in the area of software development. A sound grasp of mathematical techniques and skills in algorithmic thinking are important pre-requisites for your second and third year studies in this area. Computer architecture, operating systems, networks, databases, data analytics, behavioural science and marketing analytics are the area of the platform or underlying analytics systems. Introduction to management introduces the third key area, understanding personal and organisational development, along with independent learning and teamworking skills. Computer Science involves designing and implementing software, devising new ways to use computers and developing effective ways to solve computing problems. It spans a wide range, from theoretical and algorithmic foundations to cutting edge developments in all areas of computing. Successful professionals with a degree in computer science are flexible in performing a range of computing tasks, and extend theories and practice in every area of computing. In your second year, the core modules take development skills to the next level and deepen your understanding of platform technology, while specialised modules allow you to go further into statistical modelling, data mining and predictive modelling. Professional development, fostering creativity and innovation in individuals and teams, and independent learning are continuous themes in your studies at APU. This year ends with an internship that offers you an opportunity to move outside the classroom and show your professionalism in the workplace. After the completion of Level 2 students will undertake a short Internship / Industrial Training. This will prepare them for a smooth transition from the classroom to the world of Computer Science. In your third year you draw on your previous studies and industrial experience to refine your personal and professional development in the field of computer science, supported by specialised training in project management and new product development. Other core modules help you develop new skills in advanced programming techniques and algorithms, and evaluating applications at the frontiers of current technology. Specialised modules allow you to extend the capabilities you developed from previous studies of databases and analytics specifically in the area of database securities, text analytics, sentiment analysis, business intelligence, and optimisation concepts. For your final year project, you investigate and develop a solution for a real world problem. This provides proof of your ability to combine technical knowledge, critical thinking, and analytical skills to achieve a goal, which is an important addition to your personal achievement portfolio. Graduates will be equipped with knowledge, skills and experience in three major dimensions: Strategic and Commercial applicatio, "hands-on" ICT skills and Statistics & Analytics. The programme is not merely analytics-oriented, but develops the ability to use analytics to drive key success metrics related t yield management and revenue generation in practically any business domain. 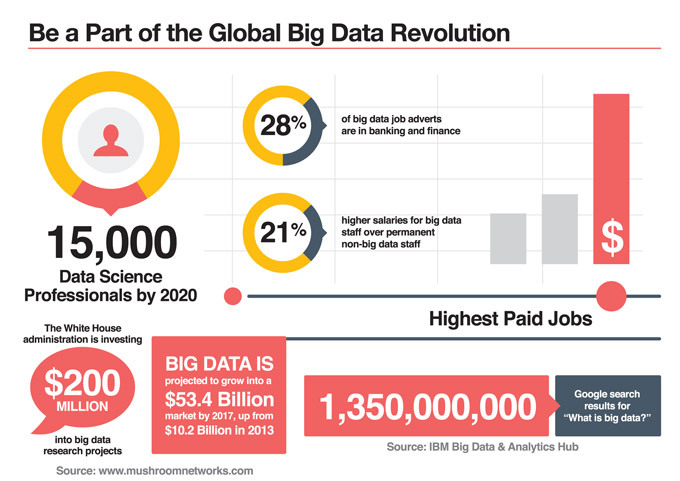 There is a tremendous requirement for Data Scientists and Big Data Specialists worldwide now and in the future, with hundreds of thousands of new job opportunities emerging globally. 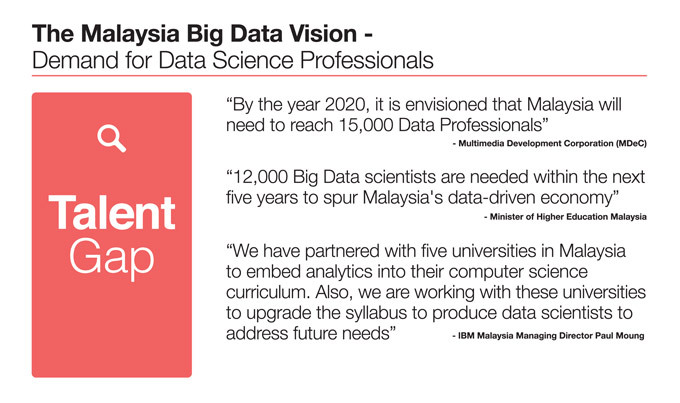 In Malaysia alone, by the year 2020 this need is expected to reach atleast 15,000 professionals. 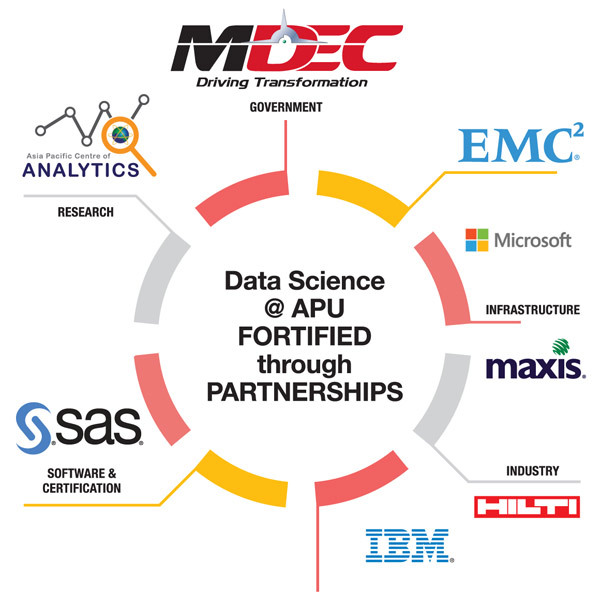 The programme has been carefully designed by APU with inputs and contents from our partners, compirisng major technology and software solutions providers, university partners as well as industry organisations who use analytics for strategic and competitive advantage. The strength of these partnerships endures that the programme comprehensively addresses all key stakeholders - Technology providers, Employers, Government as well as Students - in its learning outcomes, curriculum content, delivery adn assessment. Students also obtain certiifcation jointly issued with industry partners, which would certainly give them a head start in the exciting world of Big Data. Furthermore, APU is also poised to become a frontrunner in analytics research through the establishment of the Asia Pacific Centre of Analytics (APCA), through which research activities will be undertaken to challenge boundaries in the application of analytics.